It takes two to tango. 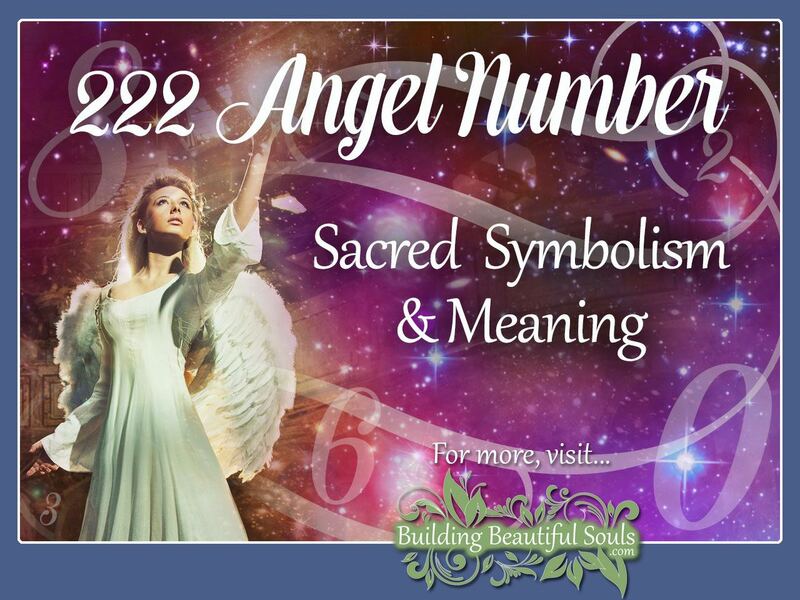 In this case, the two critical meanings behind Angel number 222 are belief and conviction. You have reached a lovely place in your life where everything seems completely in balance. Your spiritual life, your work, the family, recreation – all these sections fill out your personal wheel equally; this creates the consistency most people crave. There are no flat tires or potholes in life’s road. Read on to discover even more meaning behind the appearance of 222 in your life! When 222 appears regularly in your life things are about to get very busy, if the activity hasn’t already manifested itself. All that ruckus could influence the careful equilibrium that you worked very hard creating. So, before you jump into the whirlwind, stop, and think. Put your priorities in order and don’t spread yourself too thin; this is no time to grumble or give into negative thought forms. Get it together and keep it together. Realize that the Angels are not simply going to drop you into a hectic pattern without giving you help. They offer patience and fortitude to sees you through. Bear in mind that Angel number 222 contains the Master Number 22, the number of miracles and high-quality personal output; this means you can truly envision personal harmony, joy and inner peace developing into a solid cornerstone in your reality. During the time frame where you are vibrating with Angel Number 222, pay particular attention to your dreams. We suggest keeping a journal so you can review them and see if the Angels give you even greater clarity through dream symbols. Also, home in on Global patterns that impact you personally. Some will be bad, others good, but overall any confusion that you had about the near future begins fading into the backdrop. Angel number 222 awakens your soul to your overall purpose in this incarnation; this is very powerful and momentous. As a result, there will be a chance to make enduring decisions for yourself and your Inner Circle. Listen to those gut instincts, trust yourself and keep moving forward. Something deep down within stirs you toward a calling. Be it serving your country, going into spiritual service, or finding your ideal career path, you will know this when you see it. Use diplomacy in working on this situation, and don’t be afraid to go it alone. Your Angels assure you that your decisions are sound, so use your 222 vibrations wisely. The doorway of opportunity is wide open and pointing to the success of a new prospect. Remember, however, that you must remain true to yourself and your inner vision. If you lose that – your road map becomes very undependable. Keep your Higher Self in fine tune so that it can clearly receive messages from your Angels and the Divine. You are one with the Universe. This communication is wholly natural you just have to learn trust. Sometimes people are afraid to hope, thinking that happiness is short-lived. In this case, put such notions in the trash bin. Your dreams are breaking into reality. Bear in mind that this amazing transition means staying on your toes. The Angels can’t do all the work for you. Yes, they open doors and provide sacred energy, but you’re the one who has to “keep-on-keeping’-on.” There is no greater motivator in this journey than deep abiding faith. There is no question your life is in flux right now, particularly when it comes to long term career matters. Approach these with flexibility and the intent to apply yourself to the goal of improvement and insights. One of the best attributes of Angel number 222 is that it offers strong organizational aptitude. Having a place for everything and everything in its place is very important to you. There is a caution here against being too rigid. If people want minor changes, work with them. Don’t lose your cool. While working with Angel Number 222, remain open-minded. Use your will power to drive you forward. Every action has a ripple effect, influencing future results. To use an aphorism, if it’s not broken (your approach) don’t fix it! You are already on a rising energetic path that elevates your spirit beautifully. Better still, this is not a solitary journey. Your adventures includes family, friends, co-workers, or groups close to your heart. In these settings, you bring renewed balance and keen negotiation skills. Obviously how 222 expresses itself depends on your personal situation. Maybe there is discord at work where you have words that act as a salve or reasonable compromise. Perhaps you’re in a power struggle with a child which is wholly unnecessary for regaining balance in the relationship. Allow your global-mindedness and the Angels to guide you in renewing harmony. Number 2 represents partnerships. Three twos align with similar energy specifically directed at your soul’s progress. When you keep upbeat well-earned achievement awaits you. Don’t give into self-doubt. Our vision of what we can accomplish in this realm often falls short of our true potentials. Just keep putting one foot in front of the other, and you will get to the head of the finish lines. Your Angels are on the sidelines waiting with congratulations. Maintaining peace is of the utmost importance in all areas of your life. However, do not give lip service to something that doesn’t shine with truth and your personal guidelines. There are ways to disagree without making full-out war. Speak softly. Listen a lot, then offer insights in a positive manner. Angel number 222 sings with the spirit of the greatest good. Selfishness really has no place here. Everyone in your Circle is moving into a global and perhaps even Universal vibrations. Avoid negativity and auric garbage. Keep working with the light, bringing it into your being daily. As you do, you will feel far more energetic, hopeful, trusting and begin seeing all the potentials in your soul slowly culminating. One of the messages conveyed by seeing the number 222 is that your guides have faith in you. You may feel that a lot of coincidences are happening at once, but really it’s all a bit of Angel magic. Embrace this with positivity and blessings will continue. You are still the master of your values, habits, and ultimately, your destiny, so, take the reigns and roll! If you don’t already have a plan start thinking at least two years out. Where do you want to be? Whom do you want to be? The experiences just starting right now shape the answers to those questions in profound ways. When we ask for guidance with an honest heart, our Spirit Advisory teem answers. The use of 222 is one of those answers. In the moment you realize a message appearing, it’s good to take the time to pray or meditate for guidance. Open yourself to the various meanings the number portrays. In this case, you are in exactly the right place at the right time. You have HUGE aspirations and an opportunity to see them through to fruition. The excitement is contagious, often helping those around you to do likewise. When it comes to relationships and matters of the heart 222 can be tricky. Yes, it represents deep partnership. But it may also mean difficult life choices that feel impossible. You and another person or group face a struggle, and it takes teamwork for finding a resolution. Perhaps it will be you and three friends, or you and one partner. Remain aware of the way other people see things. Perspectives from all angles provide much greater clarity. The Angel Love Number 222 also talks about holding space for those you love. That means walking beside them on their journey without judging or trying to “fix it.” You can’t – they have to do that alone. Rather provide support unconditionally, remain thoughtful. Avoid enabling or co-dependency. If you find that nothing seems to work, seek out your Angels or Spirit Guides (or even a trusted friend). Having a sounding board face to face or in prayer can really put things into perspective and provide actionable ideas. There is no question that 222 is the love bug of the Numerical sequences. Love matters, including self-love. It’s time to open up parts of your heart that previously remained closed due to pain or fear. It will bring healing. This digit’s meaning in Numerology hinges on the single digit two and the Master Number 22. Starting with 2, this indicates faith, trust, and balance. There is also an element of remaining firm in the “self” even in partnerships. As a Master Number, 22 ups the stakes substantively. You have a higher purpose or calling, and it’s vibrating intensely in the core of your being; this leaves you with the sensation that you have to do more, be better. That’s fine, but don’t put your expectations so high that you fail and get frustrated. The number two is the second part of the Godhead: Jesus. The King James Version of the Bible has the world Wisdom 222 times. The book of Ecclesiastes contains 222 verses. In an odd dichotomy (two again} Ecclesiastes highlights the gap between the heavenly and the mortal realms; wisdom vs. vanity (somewhat similar to Day Two in Genesis when the heavens and earth were separated). When you see repetitions of 222 time and time again, there’s a challenge. Astrologically 2 rules the house of personal value and foundations. So, 222 means being ready to rock the boat and upturn the order of things, even if a bit uncomfortable. Keywords for 222 include being thankful, finding peace, remaining hopeful, acting ethically and continuing on the path of your soul’s purpose. 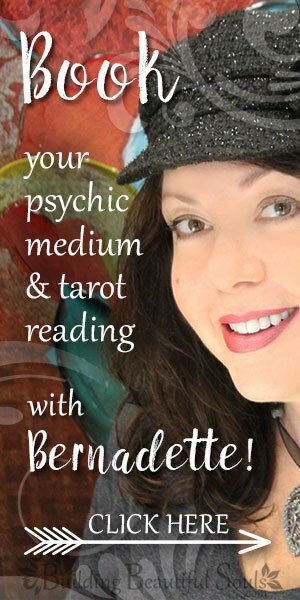 The Angels know you are a unique individual who will respond to their messages in a similarly unique way. Angel Number 222 is a pretty clear radio signal. Where advancement has been blocked, that impasse dissolves. The road is clear ahead. Take your Inner Circle by the hand and move forward confidently. There’s a wonderful sunrise coming up, guiding your way to success.